All about State Bank of India (SBI) Special Management Executives (SME) Recruitment ✓ Notification ✓ Application Form ✓ Syllabus ✓ Admit Card ✓ Eligibility ✓ Question Papers ✓ Answer Key ✓ Exam Date ✓ Exam Pattern ✓ Cut-off Marks ✓ Preparation Tips for the post Special Management Executives online examination will be held in 2016. State Bank of India invites on-line applications from Indian citizens for appointment in following Special Management Executives posts in State Bank Group. Candidates are requested to apply on-line through link given in “career with us” section of Bank’s website www.statebankofindia.com or www.sbi.co.in. The Bank also makes direct recruitment to the Middle Management grades. The post offers faster growth opportunities to the right candidate. CA/ ICWA/ ACS MBA/ MMS/ PGDBA/ PGPM/ PGDM (The course should be of 2 years full time duration. Courses completed through correspondence/ part-time are not eligible. The institute should be recognized/ approved by Govt., Govt. bodies/ AICTE). Some Universities/ Institutes do not award Class or percentage of marks and allot Aggregate Grade Points (e.g. CGPA/ OGPA/ CPI etc. ), In case University/ Institute defines criteria for conversion of Aggregate Grade Point into Class and/ or percentage of marks, the same will be accepted. Minimum 60% marks in both, Graduation and MBA/ MMS/ PGDBA/ PGPM/ PGDM (In case of CA/ ICWA/ ACS, passing the respective examination is sufficient). Selection of candidates will be on the basis of examination, group discussion and interview. ✓ Online examination consisting objective test for 200 marks and descriptive test for 50 marks. ✓ Both the tests will be online. Candidates will be required to answer their descriptive test also online. Candidates are required to qualify in each of the objective tests by securing minimum passing marks,which will be decided by the bank. ✓ The aggregate marks of objective test and descriptive test of the qualified candidates will be arranged in descending order of merit and only candidates maximum three times the number of vacancies in each category will be called for group discussion and interview. ✓ The qualifying marks in group discussion and I nterview will be as decided by the bank. ✓ The candidates will have to qualify both in Phase-I and Phase-II separately. ✓ Marks secured by the candidates in the Written Test (out of 250 marks) are converted to out of 75 and marks secured in Group Discussion & Interview (out of 50 marks) are converted to out of 25. The final merit list is arrived at after aggregating converted marks of Examination and Group Discussion & Interview out of 100 for each category. ✓ The selection will be made from the top merit ranked candidates in each category. ✓ Roll numbers of the candidates who have qualified for Phase II and those finally selected will be made available on the Bank's website. Roll numbers of selected candidates will also be published in Employment News/ Rozgar Samachar. For detailed guidelines/ procedure on a) Application registration b) Payment of fees c) Photograph & signature scan & upload visit bank's website www.statebankofidia.com or www.sbi.co.in “CAREERS WITH US” Recruitment of Special Management Executive (Banking) in State Bank of India. 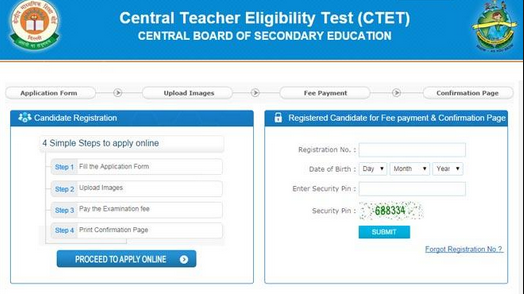 Application fee and Intimation charge non-refundable for General & Other Category is : ₹ 500/- (App. Fee including intimation charges). Visit Bank's website www.statebankofindia.com OR www.sbi.co.in "careers with us" Recruitment of Special Management Executives in State Bank Group. The candidates should download their call letter and an “acquaint yourself” booklet by entering their registration number and password/ date of birth, after 05.09.2015 from the Bank's website. NO HARD COPY OF THE CALL LETTER/ ACQUAINT YOURSELF BOOKLET WILL BE SENT BY POST.